Join us Thursday, November 9 at 7pm as Miami Valley Veterans Museum curator, Terry Purke, along with Carl DeSantis, Lou Hart, Rick Egbert, and Michael Dehart, present “History in a Box.” Thanks to a generous donation from The Duke Foundation, the Veterans Museum designed and built five (5) themed wooden boxes covering five major eras in American history: the Pioneer Period, Civil War, World Wars, and Local Perspective. 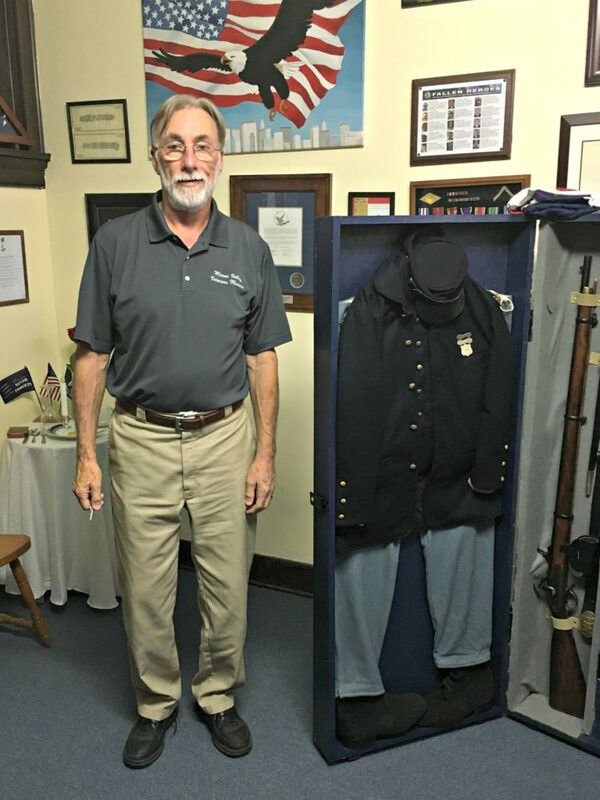 Each box contains a variety of artifacts from the period that bring to life local veteran history. Every era is captured as a time capsule of what it was like to serve in the military from the perspective of local Miami Valley veterans. The year-long project began in December of 2016 and will be presented to the public on November 9 at the Mayflower Arts Center before going on display at the Museum in time for Veterans Day weekend.